The Pacific Electric subway tunnel was built in the 1920s. 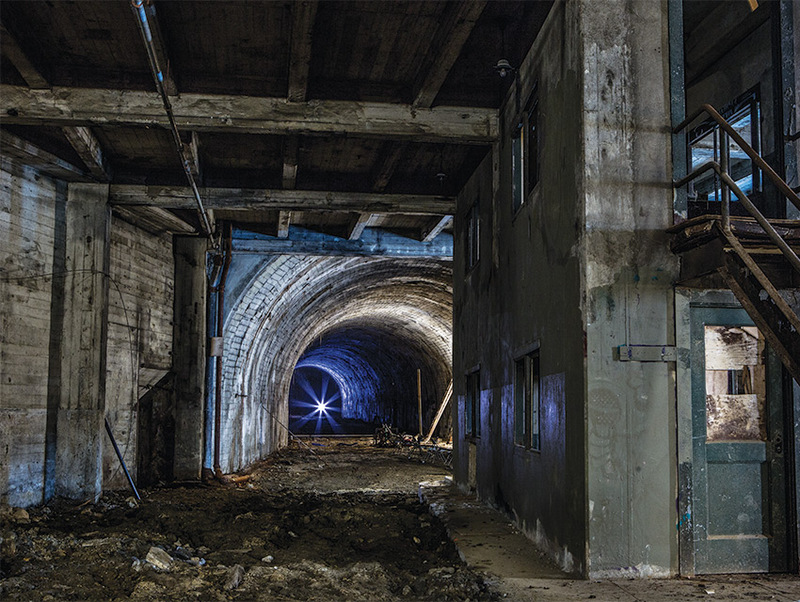 Waterproof boots, a reliable flashlight, and calm nerves are necessary in this abandoned subway under downtown Los Angeles. Water trickles in from the street above, and the concrete floor is caked with mud. A sump pump groans in the distance. The air, thick with humidity, is still and lifeless. And yet for three decades several hundred trolley cars rattled through the 4,325-foot-long tunnel each day. When it opened for service on December 1, 1925, L.A.’s first subway shaved 15 minutes off travel time between downtown and other points like Hollywood and Glendale. Passengers boarded the Red Cars from one of six platforms far below the Subway Terminal Building on Hill Street. The trolleys then headed into the double-tracked tunnel, bursting into the sunshine a mile to the west near the intersection of 2nd Street and Glendale Boulevard. Later the tunnel briefly served as a disaster shelter, and the city considered routing an automated Disneyland-like people mover through it. But in 1967, as part of the Bunker Hill urban renewal project, workers filled in the section between Figueroa and Flower streets. Since then, the foundations of several skyscrapers have forever severed the subway’s path in two. Your chances of visiting this decrepit space are slim. The western portal is permanently sealed off, and there are no plans to reopen the one-block stub of tunnel left between Olive Street and Grand Avenue. But on the eastern end, the public may one day be invited back into the old terminal. Developer Forest City Enterprises hopes to renovate the lobby and the loading platforms that sit beneath the Metro 417 apartments, though no date has been set. 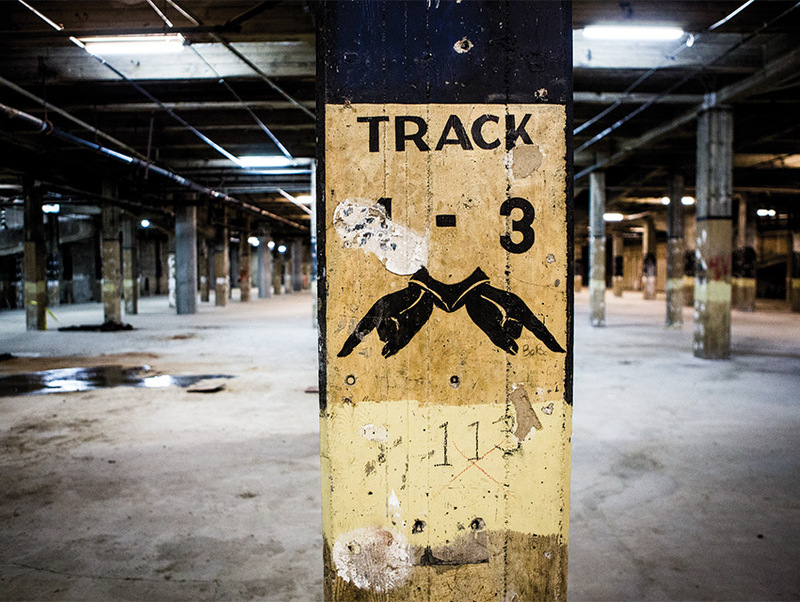 The abandoned Red Line tunnels aren’t the only surviving underground passages, however. Though few people will ever visit them, these three tunnel systems also remain beneath the streets of downtown. Work was under way on a people mover below the skyscrapers when the project was killed by the Reagan administration in 1981. A section along 3rd Street (between Flower and Hill) survives. During Prohibition, illegal basement bars flourished. According to historian Richard Schave, there was a saloon under the King Edward Hotel and a speakeasy accessible through an annex of the Rosslyn Hotel. A series of passageways connects L.A.’s administrative buildings. You may see one if you have government business. Just hope it’s not with a judge, as one tunnel moves defendants between court and jail.